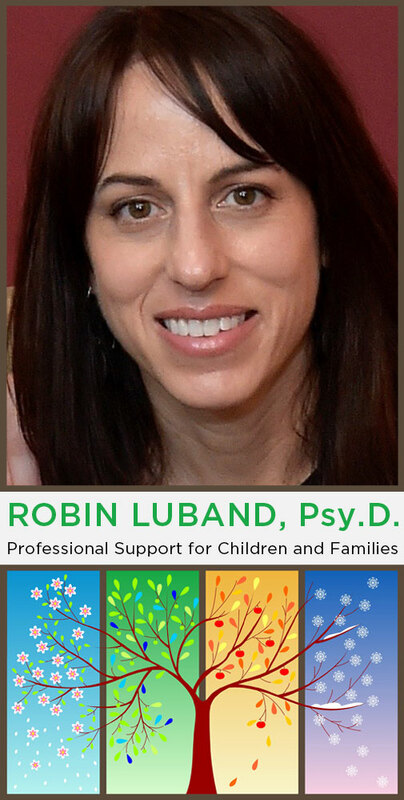 Getting Started | Robin Luband, Psy.D. Every human wishes to feel validated, valued and respected, whether a child or adult. Therapy is a process that enables us to grow, develop and achieve success. Research consistently reports the benefit of early intervention. Whenever anyone asks me if they think they should look into therapy for their child, I generally feel that if the thought has crossed your mind — why not see if it can be helpful? While it is true that therapy is an investment of time and money, it is more importantly, an investment in you and your child’s well being. You don’t have to be certain of next steps. Instead, look at it as an opportunity to check in with someone qualified and informed to help you think things through. If you then decide against pursuing treatment, at least you will make that decision knowingly. Any time you reach out for help, you are doing more than you would if you simply waited for things to change. The first phone call is an opportunity for you to learn more about my qualifications, expertise and approach to treatment. It’s critical that you feel comfortable working with me and for this reason, I always speak with parents before meeting their children. During the phone call, you will be invited to share with me your main concerns for your child and provide some background information regarding relevant history. You will want to make sure my office location, availability, and fees work with your needs. Although I do not accept insurance, I try to accommodate your financial needs as best I can. If we determine that I am not a good match for you, I will help you find another therapist. Otherwise, we will set up a time to meet for an initial assessment. The initial assessment is an opportunity for you and I to meet each other and discuss your concerns in depth. Prior to the start of our meeting, I will ask you complete forms as follows: Contact Information, HIPAA Policy and Signature, Therapy Contract, Email/Text Policy, Payment Policy. Ideally, all primary care givers will attend an early session so we can learn everyone’s concerns and differing perspectives. Together, we will begin to sort out our initial thoughts on what services will benefit your child and our goals for treatment. During this meeting, we will review your child’s developmental history, social environment, positive and negative behaviors, personality traits, and school functioning. I will be interested in knowing your child’s strengths and weakness and understanding from you in what contexts your child thrives and when they are most challenged. We will set up a regular appointment time to proceed with the evaluation process. An evaluation consists of several meetings to allow us to get to know each other, explore underlying concerns and clarify what needs to change across situations, environments and individuals. Sometimes I may need to speak with other professionals you are working with and will ask you to sign a Release for this purpose. The evaluation period is followed by a review of therapeutic goals and options and an agreed upon treatment plan.